Although only around half the size of Earth, Mars is generating a whole lot of buzz these days, thanks to ongoing research about its surface environment and habitability. Interest in the Red Planet has soared, with astronomers revealing it is only just emerging from a 400,000-year-old ice age. What is more, NASA recently discerned the presence of oxygen in the planet’s atmosphere, a knowledge that is crucial for future missions to Mars. 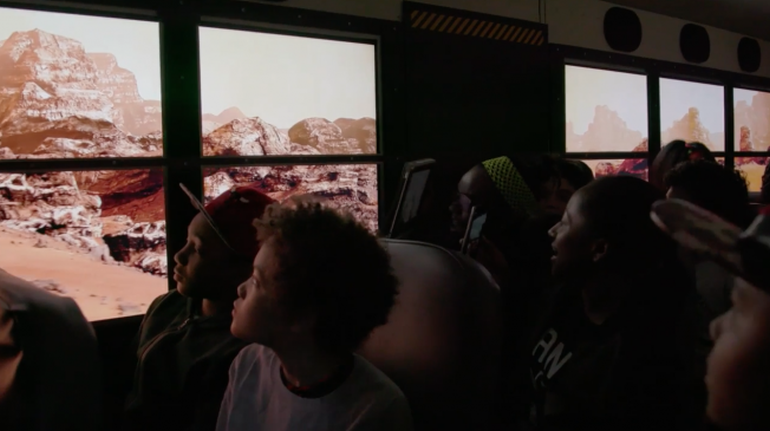 While it might still be a long time before humans can actually live on Mars, a school bus in Washington DC is taking kids on ride across the Red Planet. 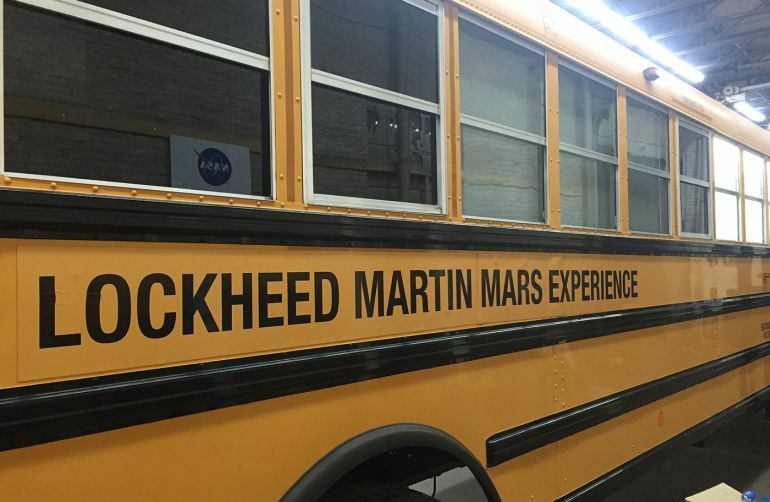 Dubbed as the Lockheed Martin Mars Experience, the initiative saw the US-based aerospace, defense and security company working alongside Framestore and McCann to turn the bus into an incredibly futuristic deep space transport. How did they do it, you ask? With the power of virtual reality, of course! For the “group VR” experience, the team converted the windows of the school bus into screens, using a video game software to display nearly 200 square miles (approx. 518 square kilometers) of the Martian surface. The simulated tour around the Red Planet was made possible by Framestore, a British company that created the spectacular visual effects in Ridley Scott’s The Martian. Our children—the elementary, middle and high school students of today—make up a generation that will change our universe forever. This is the generation that will walk on Mars, explore deep space and unlock mysteries that we can’t yet imagine. They won’t get there alone. It is our job to prepare, inspire and equip them to build the future—and that’s exactly what Generation Beyond is designed to do.